There are references in the PW archive to Pollard's of Walthamstow and Earnshaw Bros & Booth of Burnley. I have not been able to find any other references to these companies. I'd be grateful for any leads. As part of the official commemorations of the 60th Anniversary of the Allied victory in WW2 my home county of Cumbria (NW England) held a special weekend of events between 24 and 26 June 2005. The central feature of this was a 'Victory Parade' of more than 1000 veterans. While most of these were from Cumbria, the parade also included current bands of the Royal Marines, RAF, Naval Cadets, Army bands etc. Over the weekend there was also a 'World War Two' flypast by some wartime aircraft, wartime songs and music on a central stage and different exhibitions by the Army, RAF, Royal Marines and the Navy. Among these was the RAF Display Team 'The Red Arrows' who put on a display immediately after the 'Victory Parade' had finished. 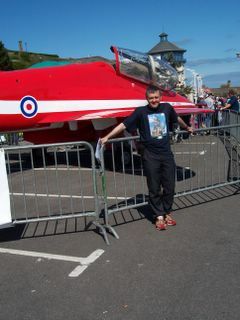 The photograph shows me in front of one of the 'Red Arrow' aircraft that was on public view throughout the weekend. As can be seen from the photograph, the sun always shines and there are always blue skies in Cumbria during the summer months! During the course of the weekend I was one of a team of volunteer helpers publicising the BBC "People's War" project. This involved giving out forms and collecting wartime memories that were later published to the "People's War" website. The BBC Local Radio Station (Radio Cumbria) had a special area set aside in an exhibition tent for the "People's War" so those with wartime memories could see what it entailed. Many wartime accounts from people with memories of the war years were obtained as a result of this weekend. It was a great honour to listen meet so many people who had played their own small part during the war years leading to final victory. For many of the veterans who attended the weekend and took part in the 'Victory Parade' it was a tremenedous opportunity to meet many former comrades, honour those who paid the ultimate sacrifice, and remember many of the good times they spent together in difficult circumstances. It also gave those of us born after WW2 the chance to thank and to honour our forebears in their own homeland. 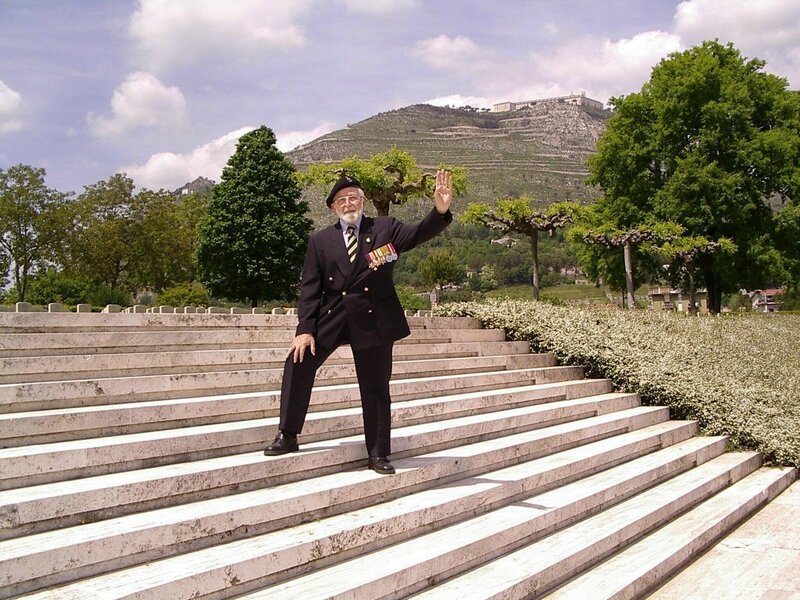 In recent years, some of the veterans had taken part in marches overseas in places where they had served, such as France, Belgium, the Netherlands, Greece and Italy, with cheering crowds showing their gratitude for liberating their homeland. On this occasion, perhaps for the first and last time, the veterans were able to see how much the sacrifices they had made so long ago really did mean to their own families and friends back home. 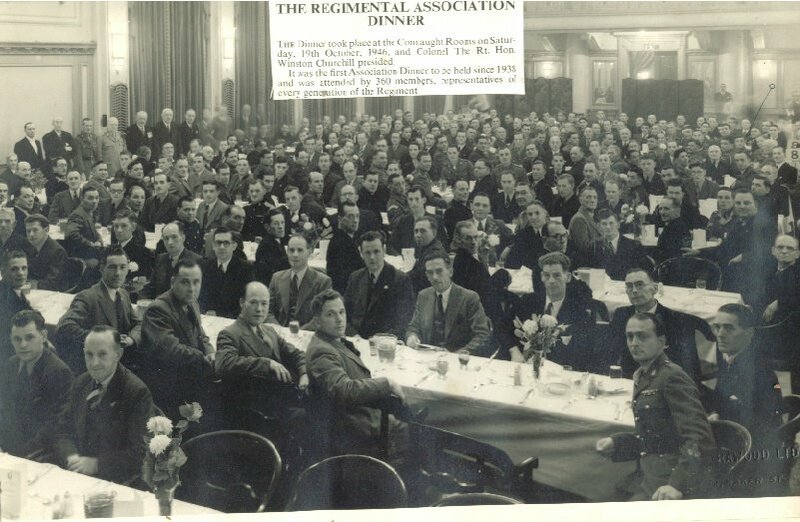 A great occasion and a great 'Thank You' to everyone of the wartime generation! I hope this article gives at least a small impression of a tremendous weekend of Remembrance. 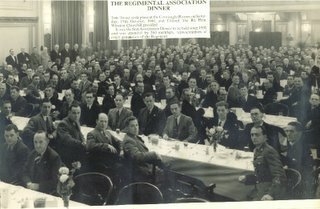 I thought the members might find this site interesting: Canadian Army Website. Lots of info on Canadian army during WWII. Quite an extensive library of pics and trivia. 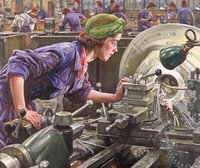 Our intrepid Internet browser, Ronald G, has found this excellent blog World War Two Buff Stuff with many good links, a veritable portal to WW2 stuff. Highly recommended. I've added it to our permanent links. Welcome to the Blog, Gerry! The article on the Armoured Bde's equipment was extremely interesting to me inasmuch as I had known most of the equipment but in the Armoured car section there is a glaring omission in the fact that the Greyhound Armoured car is missing. 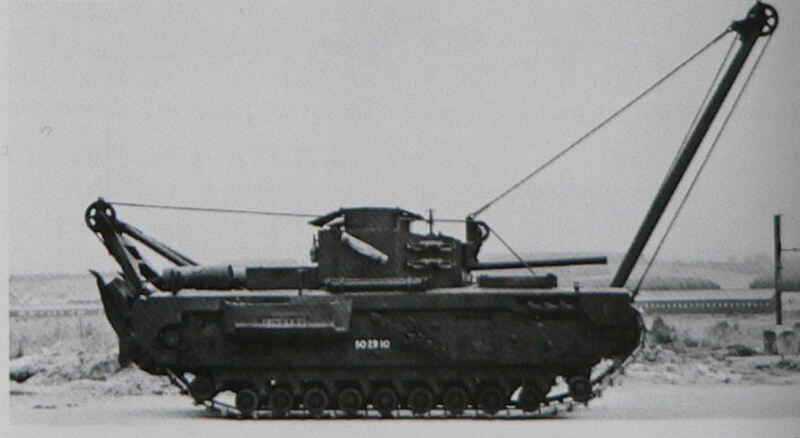 The 16/5th lancers were equipped with both the Greyhound and the much heavier and higher Staghound Armoured cars when they were predesignated as a recce regiment prior to leaving Austria for Libya in the late 1947. I personally had a lot of fun swanning around lower Austria ostensibly "on patrol" but actually visiting the neighbouring villages to find the next "tanzabend" which was of greater importance - especially in the long cold winter evenings. Welcome to the Blog, Audrey! Welcome, you are our tenth member. You will find guidance in completing your Profile in our FAQ. If you are having a problem figuring out how to post a photo or complete your Profile or any other problem, could I ask you to read the the Frequently Asked Questions, it's title is WW2 Blog FAQ, to see if your problem is covered there. The WW2 Blog FAQ is at the right side of the main page, you can also access it here. If your problem isn't covered, or if you need further help, would you please restrict your questions to this thread and not use other threads for this purpose. Simply set out your problem as a Comment to this thread. Thank you. N.B. I have now deleted blog questions from other threads so, if you still need help after reading the FAQ, please restate your problem here as a Comment. Another photo that I felt deserved a better showing than was available on the BBC site. The full story can be accessed here and there's Churchill, fourth from top left while I'm marked with an arrow near the top right. Just click on it to see the vivid detail. Have you seen the new banner on the BBC People's War Archive here? OK, let's see if we can identify the other three. It had a Bedford flat twelve engine and weighing 39 tons had a top speed of 15mph. 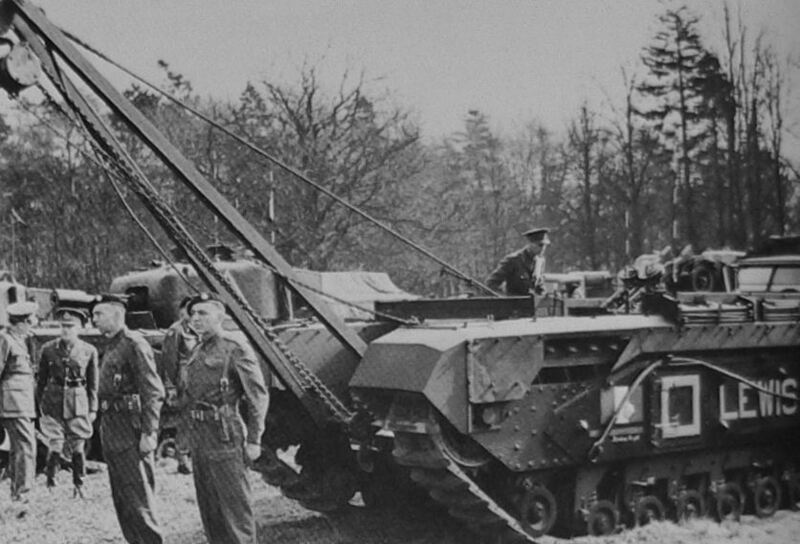 Reme used older tank chassis as recovery vehicles. Units such as 662 Armoured Troops Workshops would recover vehicles from the battlefield and this often put them in front of the Infantry. It was a tactic learned from the Germans in the desert they held the battle ground and recovered any movable vehicles, this made the British think they had far more tanks than they actually had. Joining up in 1947 we were still using the Wartime material including a lot of the old tank chassis as well as the normal recovery vehicles. One of the less favourable aspects of the BBC WW2 Peoples War site was the poor reproduction of photos that we, the customers, sent in to accompany our stories. The one you see here, accompanied my story "Return to Cassino" and hopefully you will get a better view of the Abbey perched above the British Cemetery. Has anyone played around with Google Earth? This allows you to zoom into any part of the earth and gives you a 3d bird's eye view of the landscape. I have been able to zoom into WWII battlefields in Italy and get a fascinating view from every angle. For example, I was able to find the place where my father was wounded in Feb 1944 and was able make out where the trench lines used to be. Google Earth combines satelite imagery and aerial photography which is much higher resolution. Luckily most of the Italian campaign landscape is covered in this hi res imagery -the Sicily landings, Ortona, the Liri Valley and the Gothic Line battles. You can download Google Earth for free here . There are some system requirements. You need a 3d graphics card. Another 3Dtool is Worldwind. The imagery is not as hi res as Google Earth but gives you a good overview of the rugged terrain and allows you to zoom in and out. I think this could be a valuable teaching tool they give you a virtual tour of 2nd world war battlefields. Edited to give proper links. Ed. The article titled The Italian Campaign: The Battle Of Rimini here and in the links on the right, is worthy of your attention inasmuch as it is the record of various conversations between F.M. Kesselring to his Army Commanders prior to and during the Battle which we call the "Gothic Line" and has been compilied by the Canadian Army Historical Dept. It shows how we by employing a subterfuge in "disppearing" both Canadian Divisions down to the Naples area to play around in boats to give the impression that we would attempt another "Anzio" near Genoa - the employment of the 1st Cdn Armoured Bde in the Florence area to confuse even further- and lastly to send the 21st Brit. Tank bde most of the way towards Sienna before doubling back to meet up with the 1st Inf Div at Fabriano and to start the battle from a small village of Jesi. meanwhile kesselring moved his main force to the coast - then back to the Florebce area while we moved over the Metauro almost unhindered and it took him four days to send the 26th PzDiv plus the 4th Para regt over to try to stem the tide. It is avery long account and starts around the 11th August whereas the main advance took place on 25th August '44. Welcome to both of you, I'm sure you will have no need of the FAQ, but it's there if you need it. I did post a welcome to you, Ritson, on Saturday, in fact I posted it twice, but it kept getting wiped out. Fortunately we seem to be back to normal. Not bad, in 6 days the membership has doubled from four to eight! At last you made it, after a Titanic struggle. Now we need to get you up to speed commenting. A London Interlude The war not quite over. Welcome aboard as a full member, Steve. Glad to have you. During the few years that the BBC WW2 Peoples War site was operating we, that is the Gang of Four aquired a bit of a reputation for assisting people. In some cases it was by supplying information, in other cases it was by pointing the way to carry out future research. We would like to carry on where we left off so please use this particular posting to leave your name and the nature of your enquiry. As with all other postings on this site, one of the Team will make a response as soon as possible. We have our very first extra team member. Welcome to the Blog Josephine. I'll later guide you setting up your Personal Page.